Photo Courtesy Of Janice Hopkins : Ligt snow showers began falling around 8:30 AM Monday – January 4, 2016 across the Central Virginia Blue Ridge. 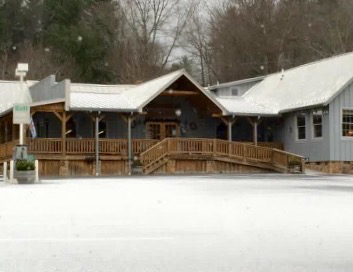 The Montebello Country Store in SW Nelson County has a light dusting of snow around 9:15 AM. Hard to believe we were talking 75° just a few days ago and now temps are in the teens in the mountains and in the lower 30’s down below just before noon Monday. 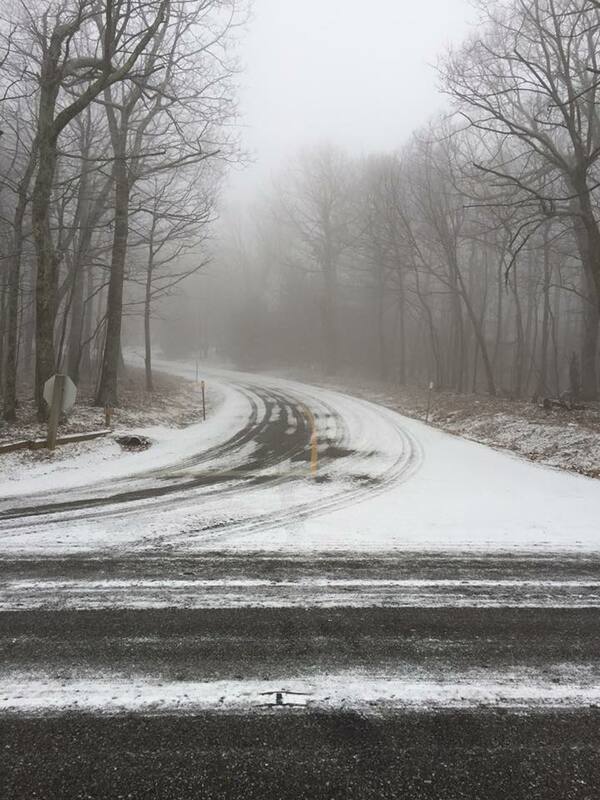 Photo By Jody Morgan : Up top at Wintergreen the ground temps were cold enough for some light accumulating snow on the roads. Some light snow showers fell mid-morning Monday with some places like Montebello and Wintergreen getting a nice dusting. More flurries and snow showers can be expected Monday afternoon in advance of a strong cold front that will drop temperatures throughout the day. By Monday night temps will bottom out in the upper teens in the lower elevations and in the singles digits up in the higher elevations. Expect colder conditions Tuesday night. Milder weather with showers will return by the second half of the week. Another VERY Cold Wakeup Across The Central Virginia Blue Ridge – Snow Tonight / Late Week?